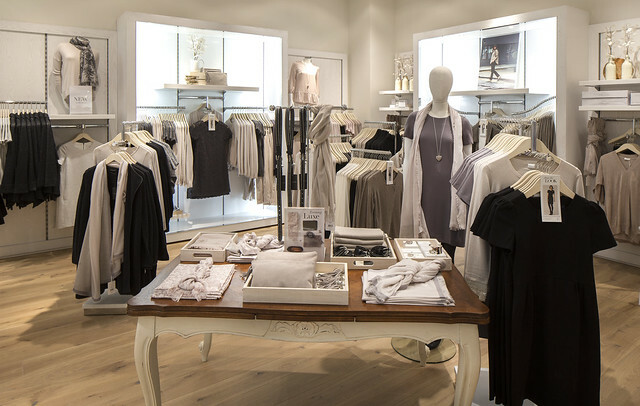 Luxury clothing and homeware brand The White Company opened its first store in Wales at St David’s, the Cardiff shopping centre a couple of weeks ago. 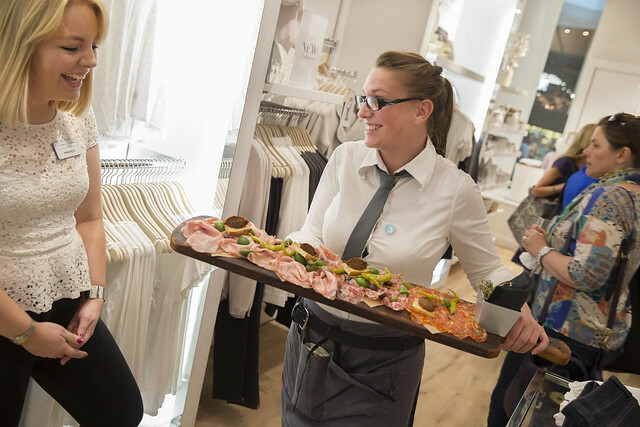 The retailer is another high end addition to the Cardiff after both Vivienne Westwood and Armani have joined us here. I attended the launch night with my mate Sam, lots of lovely local bloggers, press and even some Olympic athletes. 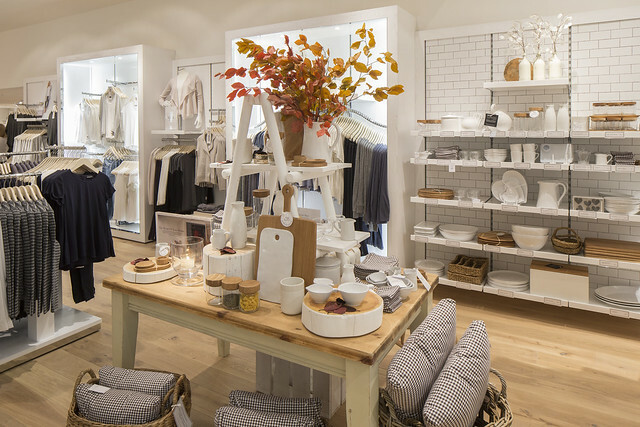 I got a chance to browse the collections, showcasing all that The White Company is famous for - crisp white bedlinen, the softest towels, home accessories, womenswear, fragrances for home & body (wild mint was my favourite) plus an adorable children's range. Look at all the white and grey, so chic. Wearing my Jaeger dress, felt like i should have worn something a little more neutral as I stood out in this bold colour amongst the natural palette. We were treated so some tasty nibbles from Jamie's Italian and a string quartet. Rather swish! I got the change to meet the CEO and store manager who told me a little more about the ethos of the brand and that a lot of the products are made here in the UK and are of the highest quality. I'm tempted to pop back and get some toiletries and a candle in the gorgeous wild mint scent, one of the best things I've ever smelt. You can never have too many candles, right? 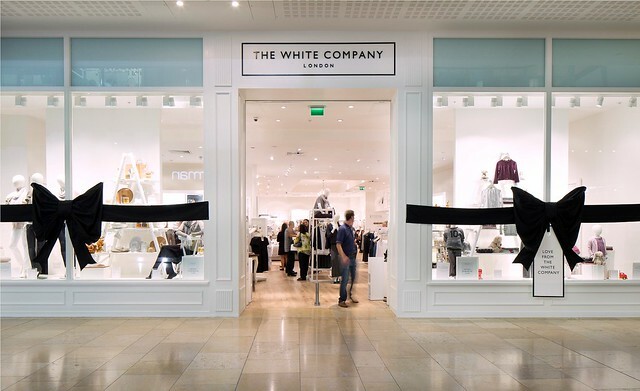 I love the White Company, I wish there was one nearer to me though! A wild mint candle sounds gorgeous too. 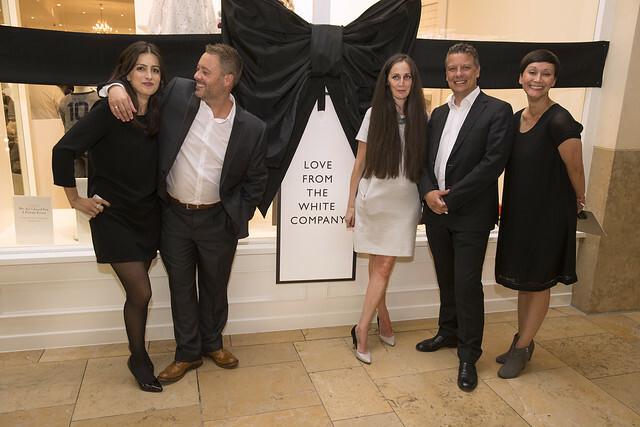 I love the White Company and you look beautiful here, I LOVE that dress! 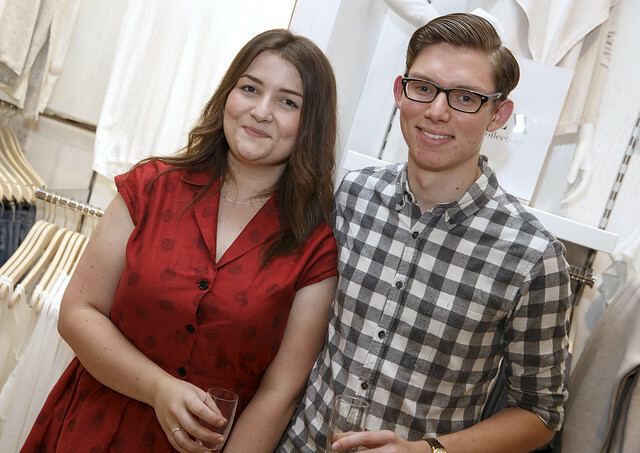 Love The White Company, and your dress is lovely! Can't be a bit of Jaegar!